A second person has been charged in connection with the armed robbery of a man near Boystown on Monday. Police arrested a 17-year-old juvenile male at the Wilson Red Line station at 1 a.m., shortly after the 29-year-old victim told them that an offender in a ski mask displayed a handgun and robbed him in the 500 block of West Brompton. Police said they found a BB gun, black ski mask, and the victim’s phone in the teen’s possession. Also charged now is 20-year-old Moshe Nudelman. He was arrested along with the teen on a warrant, but prosecutors have now hit him with one count of theft of lost or mislaid property in connection with the robbery. Judge Anthony Calabrese set bail for Nudelman at $25,000. 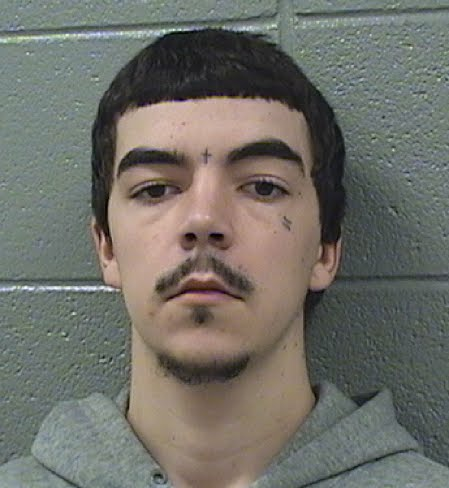 The robbery victim told CWBChicago that Nudelman was only charged with theft because he was standing behind the victim at the time of the robbery and he could not be positively identified as the second offender. It turns out that Nudelman was on triple probation at the time of the robbery, according to court records. In November 2017, Judge Lauren Edidin sentenced Nudelman to one year’s probation for selling a stolen camera online. At the same hearing, Edidin sentenced Nudelman to a concurrent year of probation for stealing two watches worth $9,800 in Skokie. Then, on August 1st, Judge Edidin again gave Nudelman another sentence of probation after he pleaded guilty to burglarizing a Skokie smoke shop just two months after he was given the previous probation sentences. In addition to the $25,000 bail for the Boystown theft case, Nudelman is now being held in lieu of $250,000 bail and a separate $1,000 bail on allegations that the Boystown case violates the terms of his probation(s).